Work for SAP Cloud for Customer? I think that it's ease of use and dynamic range is helpful. If you want a platform that works well on the internet and in the cloud this will work well for you and your company. 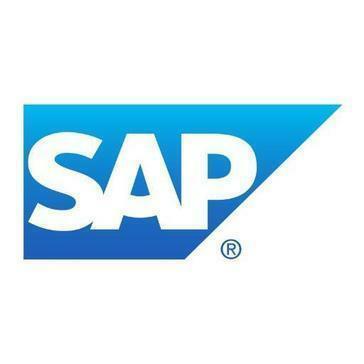 I would recommend SAP to any medium to large business that wants access to information relatively easy. I think that the platform is very user friendly once you gain experience with it. Eases information flow to the end user. I would also like to add that integration into your current platform goes smoothly with the right software integration team. With this easy to use platform you should be able to accelerate your information to the right people at the right time. Direct connection to all resources. SAP makes it very easy for our company to integrate the sales team with the accounting teams and with the warehouse for shipping and receiving function for many of our government contractors and vendors. This process allows for easy information flow all across the company and with our customers. I would also like to add that installation was easy and we were able to implement SAP company wide in less than three months. "CRM in the Cloud: SAP Cloud for Sales"
SAP's Cloud for Sales as a CRM solution is exactly what you'd expect of a way to keep track of your customers. It's a searchable database, with filters that help you further narrow a search, as well as a way to only look at "your" accounts assigned to you, if you are part of a sales organization. When you do find the account you're looking for, you can see activities, contracts, contacts, and notes among other data-rich insights. The best part about this, is that your current CRM system most likely can be ported over to Cloud for Sales, filling it with the information your organization needs ASAP. In our case, we were working on a very outdated CRM, and were scared of losing data by transferring. As far as I know, we haven't lost any accounts, so that's been great! Adapting to Cloud for Sales was different from what we were previously using, but let's face it, if your organization has transitioned to a new software, you're along for the ride. Honestly, I was struggling for about a week with how to use it, but after that, I watched a few videos and got myself up to speed, so transition and learning do take a bit. Additionally, if your organization likes seeing the "customer journey" AKA the products they've recently bought, the feedback they've given, etc. at a glance upon opening the account, this isn't the solution for you. It's more of a database of your accounts and the info your organization has on them. To dig into that info, you'll have to sift through each tab on each account or create an excel spreadsheet. If you're using Salesforce currently, I wouldn't go after this solution, as Salesforce is a better fit to measure your reps' engagement with accounts and customers. But if your CRM system is in need of an overhaul, and you'd like accounts and information live and available to your organization any time, then pick Cloud for Sales. Definitely check out tutorials and user videos before purchasing, as it will take some of those to get your team familiar with how it works. It also integrates with Qlikview, so if you are using that solution, it compliments it nicely! My favorite feature by far is exporting as many accounts as you like to an Excel spreadsheet after doing a search, and filtering down if you like. This helps our sales reps to call down large lists of their accounts, or to check which of those accounts are still actively using our software. Without SAP Cloud for Sales, we wouldn't be able to see each account--as it's created, in real time. Previously we had to wait for our back-end channel to approve new accounts, something which was time consuming for both reps and our channel. While initially transitioning was tricky to get used to, I much prefer this system over our outdated one we were running on. If given the choice again to stay with what we had or implementing this, I'd choose Cloud for Sales any day! "SAP Cloud For Sales Review"
It helps me keep the accounts and prospect assigned to me in a simple view. I can see the historical activity, their contacts prioritized by us, and any contracts if their or some currently. The workflow of this product is far better than what we used before. Maybe this is because of it being on the Cloud. The the loading time is pretty slow. We use this for client/prospect tracking to keep us organized in our Sales strategy. "SAP Hybris Cloud for Sales - Great product"
The product is being updated quarterly bringing new and improved functionality that can be easily turned on if you want. The system has allowed us to give our field sales organization a tool that they can use all the time, on any device. They don't have to be connected to our network, they don't have to be on their laptops. They can access all of the tools they need, order products check on sales numbers all from their Cloud for Sales application. "No Sales Force, but pretty solid for an SAP product"
Set-up is inline with other CRM products, in that it used Accounts, Leads,Opportunities, Quotes, Tasks, etc. This makes it easy to use if you are familiar with another CRM tool. Quite flexible personal view set-up. Might be just our implementation, but come to get errors when loading after being logged in more than an hour. Notifications should show more details of the feed, activity, etc. Always have to click on them and allow them to slowly load just to figure out what the notification was for. A single source of truth for our entire divisions sales activity. We are a global organization with 5 manufacturing locations and are often quoting products from multiple locations. "Better than locally installed SAP interfaces"
The search function is more like what we've come to expect from using google. Peeling the layers to get to the data I'm looking for. CRM functionality has been greatly improved over the locally installed SAP application we were using previously, the the added layers to view details reduced the time savings over the old system. Stability is better. "Easy to Use and sort data"
All the contacts and companies are easily organized and accessible for the entire team to see and sort. Can be clunky to learn how to use and to learn the terminology in the application. Track marketing qualified leads to sales qualified leads to opportunities to closed sales through our sales funnel. "SAP for Retail Inventory "
Looks like an old system but it works well. Relatively simple integration to SAP ERP, and built on HANA improves performance. Collaboration capabilities not as robust as other solutions in the marketplace. Mobile application is subset of full CRM functionality. Solves for basic sales management capabilities, but don't expect advanced lead scoring, nurturing, etc. "We've been using SAP CRM for Years." Because we couldn't sign up with a credit card it took us a bit longer to get going. It's tied together all our global commerical and non-commercial users. Learning about SAP Cloud for Customer? * We monitor all SAP Cloud for Customer reviews to prevent fraudulent reviews and keep review quality high. We do not post reviews by company employees or direct competitors. Validated reviews require the user to submit a screenshot of the product containing their user ID, in order to verify a user is an actual user of the product. Hi there! Are you looking to implement a solution like SAP Cloud?